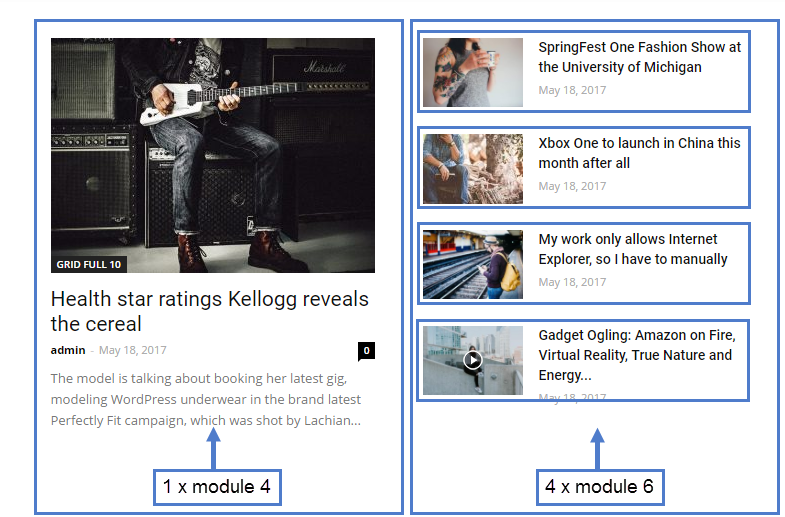 This guide will help users understand how modules and blocks work together in Newspaper Theme. The module is the key element in our theme. It is the main element used to create the blocks. A block is a container for one or more module types. A block has multiple instances of one or more module types. A block can have different modules based on the page layout you chose. On a full width row, on a 2/3 row, and on a 1/3 row. Each of these row layouts generates a different result. A block can use different modules based on the layout you choose. Note: Big Grids cannot be used on split rows. Only use big grids on a 3/3 column layout.